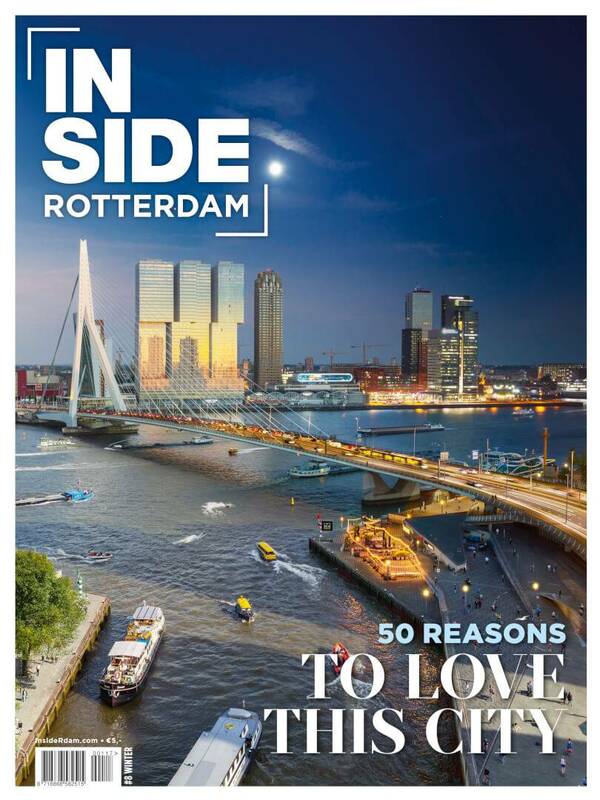 For workers heading home and tourists alike, Jack Bean is conveniently located opposite Rotterdam Central Station and offers ‘100 percent plant-based fast cuisine’. 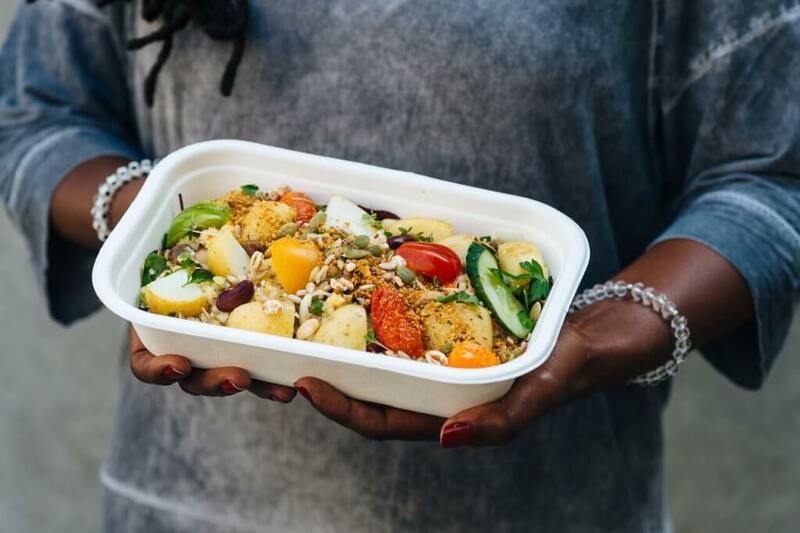 This self-service restaurant offers delicious meat-, dairy- and animal-protein-free food to eat in or take away. The menu includes breakfast options, soups, bowls and vegetable/bean burgers. Recommendation: the Ultimate Burgers, served on vegan brioche buns, have a bit of a kick and a delicious BBQ flavour. Also try the pure kombucha lemonade. Good news for Bertmans fans: there’s now a new branch in the city centre. 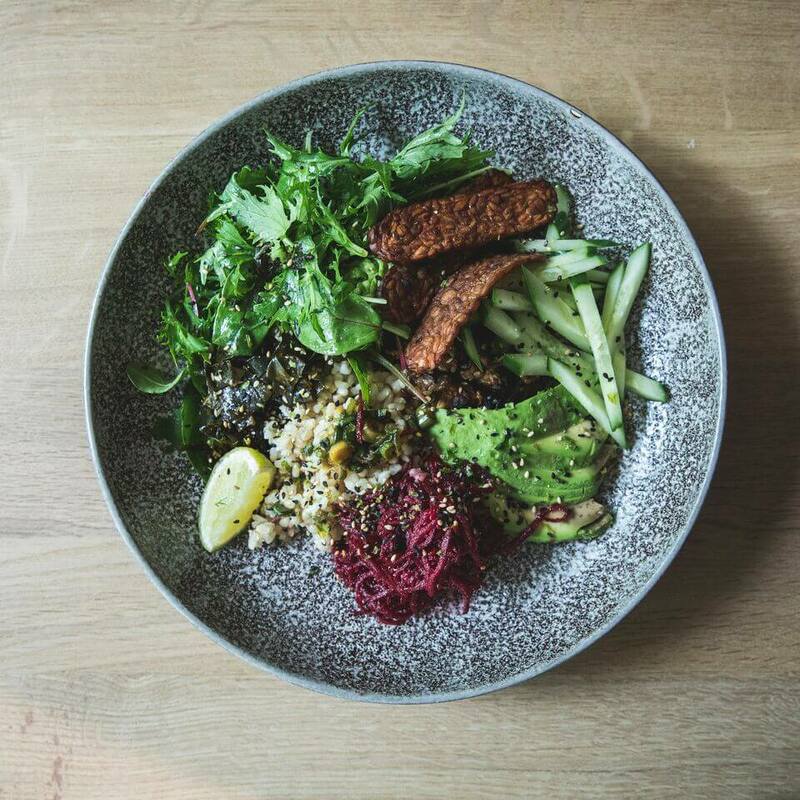 Looking out over the Schouwburgplein and offering lots of vegetarian and vegan options, this uber-hip restaurant has a very simple raison d’être: to serve surprising, nutritious dishes, made from pure, seasonal ingredients. Think fruit crumble made with an apple and strawberry ‘stew’; verveine-cashew cream and granola; cauliflower steaks; and Thai vegetable curry. 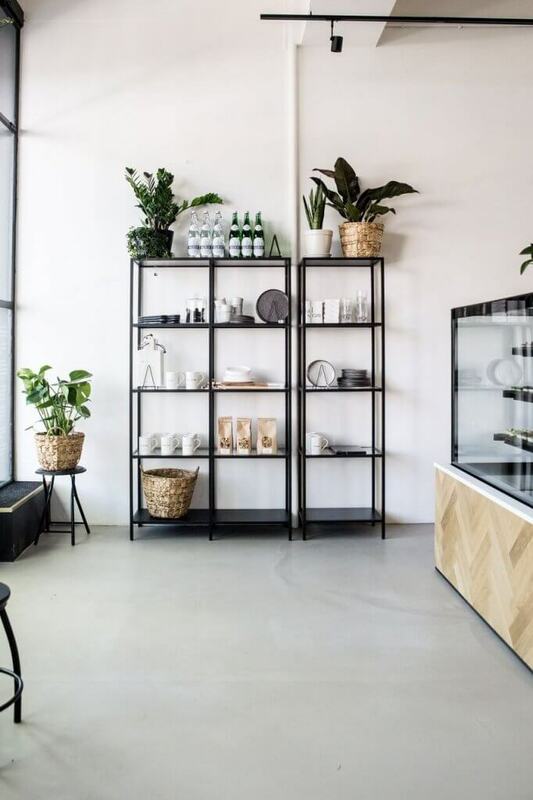 A beautiful, spacious bakery making gluten-free, refined-sugar-free and vegan snacks, banana breads, cookies, granola and a host of other sweet treats. Pop in for a cup of coffee or an all-day breakfast. Everything can also be ordered to take away and all ingredients used for the ‘sweet without sugar’ range can be bought separately, such as nuts, coconut products and dates. Tip: try the raspberry cheese-free cheesecake. Inspired by a trendy Berlin lunchroom, this cosy ‘living-room’ restaurant is located in a building once owned by a greengrocer. Perhaps unsurprisingly, fruit and vegetables play a leading role on the menu, which includes miso soup, mushroom stew and cauliflower curry. The desserts are very Dutch, ranging from semolina porridge to blueberry pudding (although using less traditional chia and hemp seeds in the recipes). People flock to Happy Earth Kitchen especially for the rawnolas: homemade muesli that is slow-dried rather than baked. The menu also includes a white bean hummus, an ‘eat the rainbow’ salad, a salade niçoise (the ‘tuna͛ made in-house using activated sunflower seeds) and kale chips served with a tahini dip. It͛s not for nothing that Happy Earth has become a foodie hotspot for followers of vegetarian, vegan and paleo lifestyles. To summarise: exciting and delicious. Most of the food at this Asian restaurant is vegetarian or vegan. Don’t panic if you see Indonesian chicken satay or rendang on the menu: the ‘meat͛ here is a soybean-based meat substitute. However, there is no such confusion as the Beijing style chicory and shiitake and Shanghai paksoi dishes go like hot cakes. Part of the proceeds from this vegan coffeehouse go to projects that help save threatened animals in India and Brazil. That͛s also where the coffee comes from, which you can drink with cashew, oat, almond or soy milk. 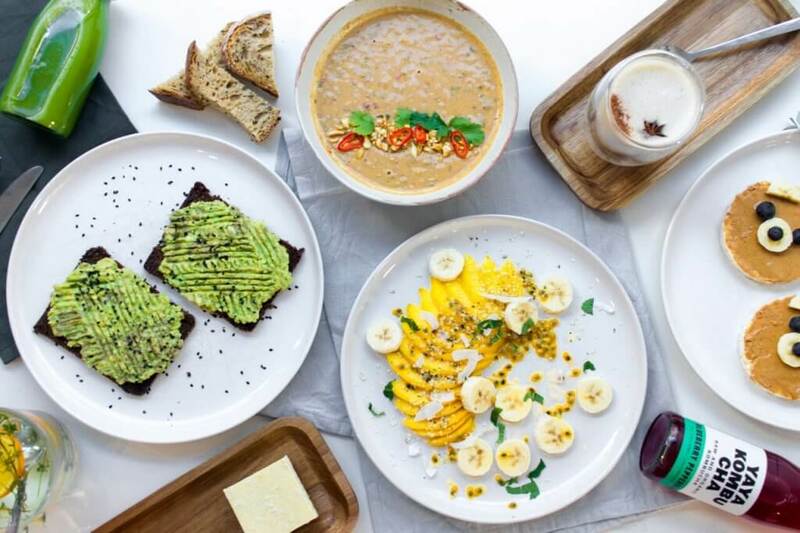 There are also vegan smoothies, vegan pão de queijo (a version of Brazilian cassava cheese balls) and vegan sfihas – ‘open’ bread with vegan cheese, hummus and other toppings.